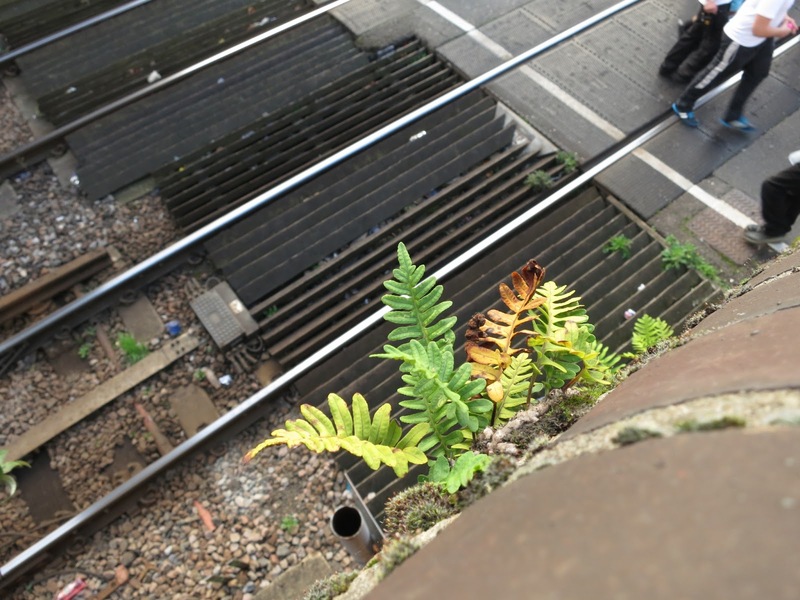 Railways are a good place to find urban wild plants. The people below are walking over a level crossing. but I doubt that many notice. No train coming for a few minutes! Seen any urban wild plants? Yay! What is a Street Plant Post? There's a page about Street Plant Bloggers. If you'd like to add a link to a Street Plant Post, please do. Ok, trees I can find above the snow, but green plants.....? Not til a lot more warm weather arrives here! Amazingly I found a few live ones ... grass in warm places, dandelions right out there in the cold! I've been out looking and have joined in for the first time. Thanks for the great idea - I'll try and make a fool of myself on my hands and knees in the road more often in future. Judging by the juicy greens I've found this week, Cardiff streets seem almost tropical compared with some places!